Dhaka, 4 June, Abnews: Holidaymakers can buy the tickets of BRTC’s special bus service from June 5. 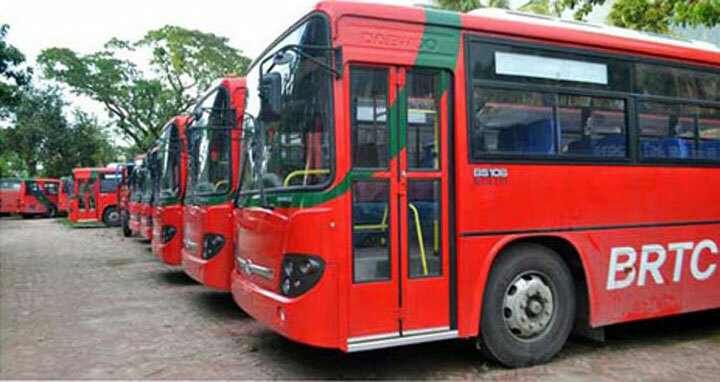 Bangladesh Road Transport Corporation (BRTC) is launching a special bus service to reduce the sufferings of passengers during the holiday period. The BRTC is set to run these buses from June 13 aiming to ensure smooth and comfortable journeys for the homebound people during Eid-ul-Fitr. People can collect the advance tickets for June 13 on June 5, Tuesday. The advance tickets will be available at the BRTC’s Motijheel, Joar Sahara, Kalyanpur, Gabtali, Mohammadpur, Mirpur, Gazipur, Narsingdi and Narayanganj depots and Fulbaria CBS-2.